The USA’s hottest young bluegrass band has recorded an acoustic rendition of one of today’s most well-known themes – if you’re a Game of Thrones fan. 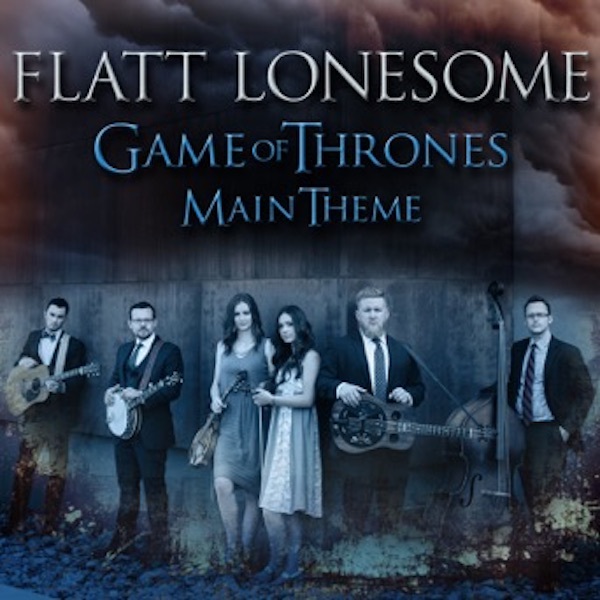 Flatt Lonesome, in cooperation with Mountain Home Music Company and SiriusXM Radio, has just released a bluegrass version of the main theme from the wildly popular HBO series, Game of Thrones. The International Bluegrass Music Association’s 2014 Emerging Artist of the Year winning band was hand-picked by the staff of the SiriusXM Bluegrass Junction channel to record the theme. Arranged by Tim Surrett from the band Balsam Range, the song was recorded at the studio of Mountain Home in Arden. NC. Flatt Lonesome is signed to the Mountain Home label. The band also performed the theme live at the SiriusXM Music City Theater in Nashville and a video of that performance is available online. The epic instrumental receives a treatment that moves from the familiar 3/4 tempo that fans of the show know so well, into a rousing 4/4 romp that only an outstanding, top-flight bluegrass outfit like Flatt Lonesome can Render. To celebrate the highly anticipated premiere of Season 6 of the television series, SiriusXM will feature the recording on Bluegrass Junction, Channel 61, which can be heard across North America. The project is being promoted on www.siriusxm.com as well as on its Facebook and Twitter sites.